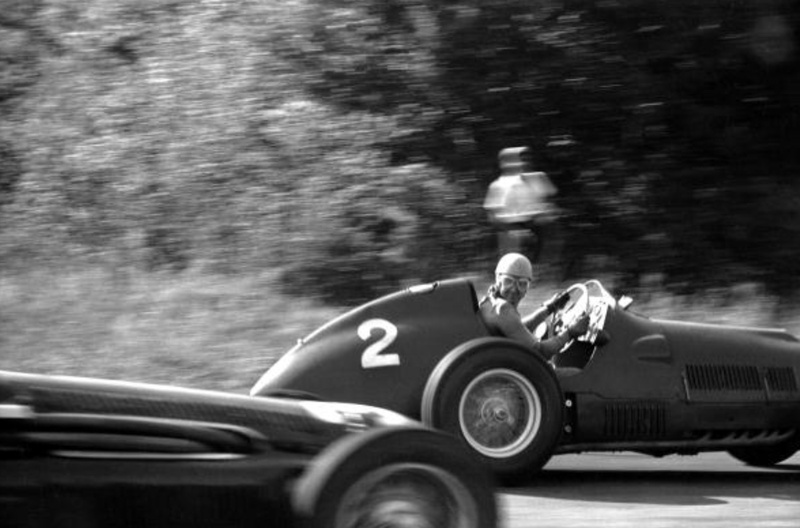 His car is a Ferrari 375, the photo taken between the two ‘Porfido’ corners, now the Parabolica, 16 September 1951. The car being passed is an Alfa 159, not sure which one though. The Italians were out in force in their home race of course at Monza. 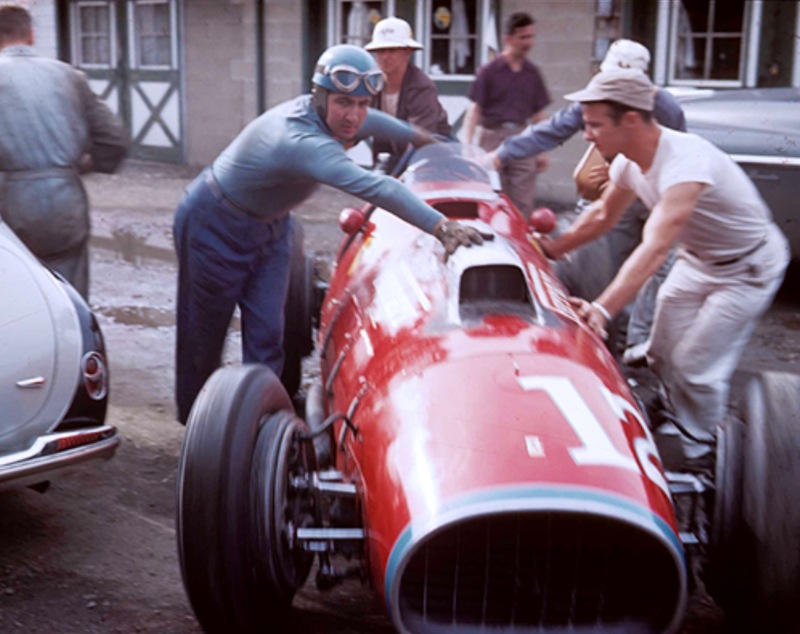 Fangio initially lead but soon yielded to Ascari’s normally aspirated 4.5 litre V12 Ferrari, Fangio regained the lead after fitting new tyres, the two-stage supercharged 1.5 litre straight-8 both powerful and its chassis far from as modern as the Ferrari’s. In concept they were of similar thinking mind you. Gonzalez (Ferrari) was 2nd after Farina and de Graffenried (Alfa) were early retirements. 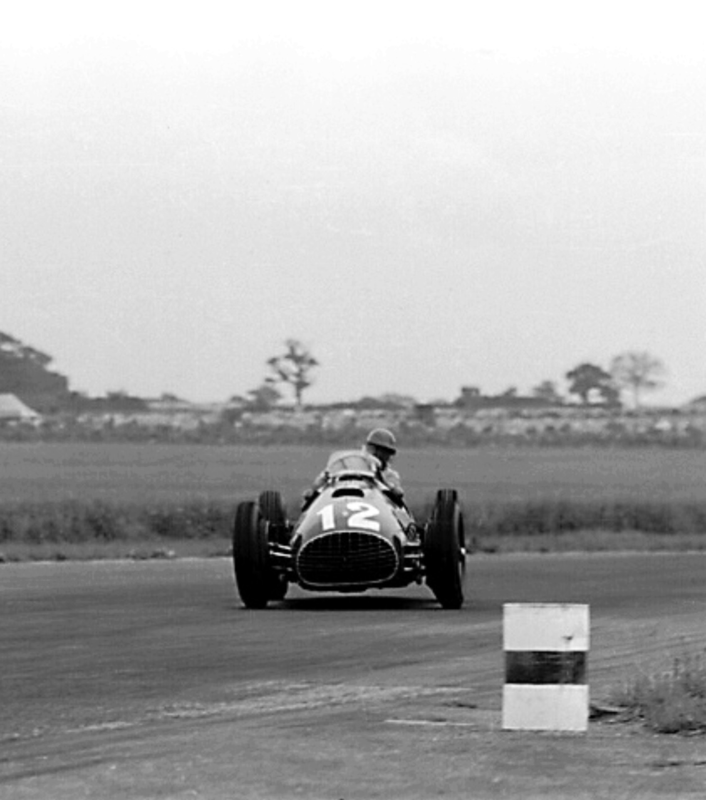 Fangio ‘tigered’, his attempts to catch the Ferrari’s thwarted by a misfire. Then Farina in Bonetto’s Alfa took up the fight passing Villoresi for 3rd but his fuel tank was leaking forcing additional stops, the race won by Ascari from Gonzalez and Felice Bonetto; Ferrari 375 V12, Ferrari 375 V12 and Alfa 159 S-8 supercharged. 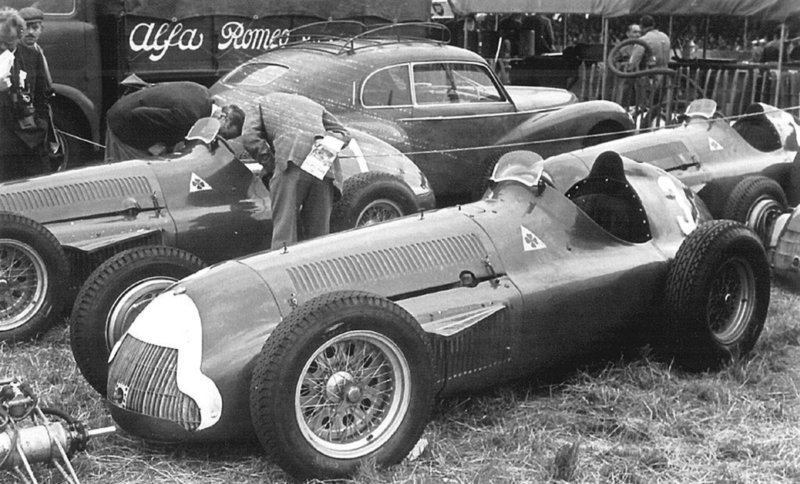 The dominant force in Grand Prix racing in the immediate post-war period was Alfa Romeo, the pre-war ‘Alfetta’ voiturettes progressively modified to remain winners; they had not been beaten since 1946. 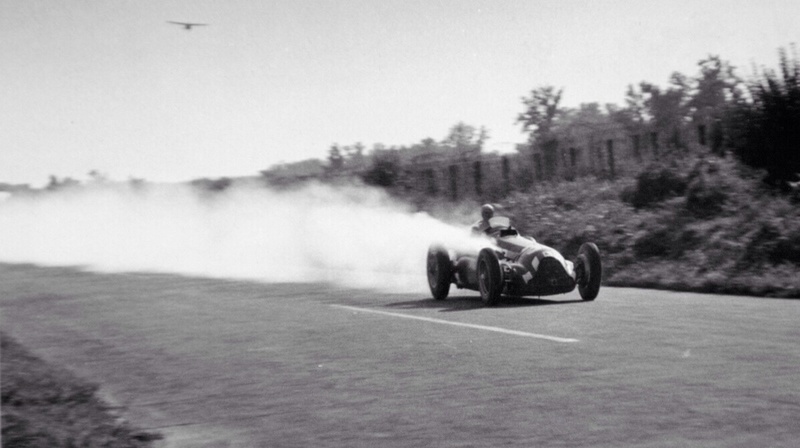 Ferrari had achieved success at Le Mans, the Mille Miglia and the Targa Florio and now took an alternative Grand Prix design path to Alfa and BRM for the 1951 season in building cars powered by a normally aspirated 4.5 litre V12 rather than the supercharged straight 8/V16 route of his rivals. Instructive had been the reliability and speed of the Talbot-Lagos despite the cars relative lack of sophistication given the French machines road-car origins. 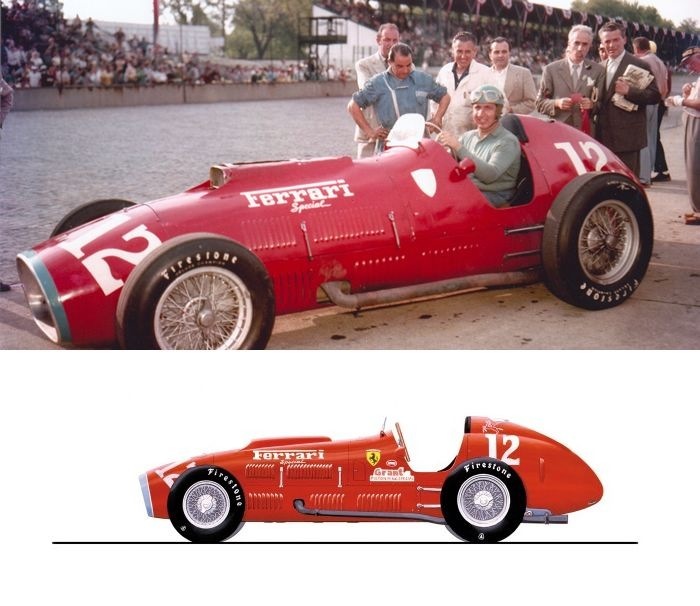 Ferrari’s Type 375’s were first entered at the Pescara Grand Prix on 15 August 1950, but were not ready. The cars made their championship debut at Monza on 3 September 1950 with entries for Alberto Ascari and Dorino Serafini. 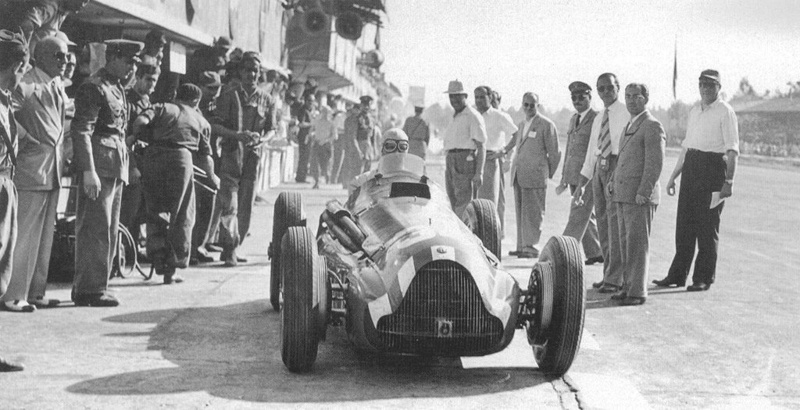 Ascari qualified 2nd and was dicing with the lead group of Fangio and Farina both 158 mounted, before retiring on lap 21 with engine overheating. In order to test the cars over a full GP distance,375’s for Ascari and Serafini were entered for the GP do Penya Rhin, at Pedralbes, Barcelona on 29 October. The cars finished 1/2, no Alfa’s were entered but the cars completed a GP distance without problems. With further development over the winter the 375’s were ready for 1951. 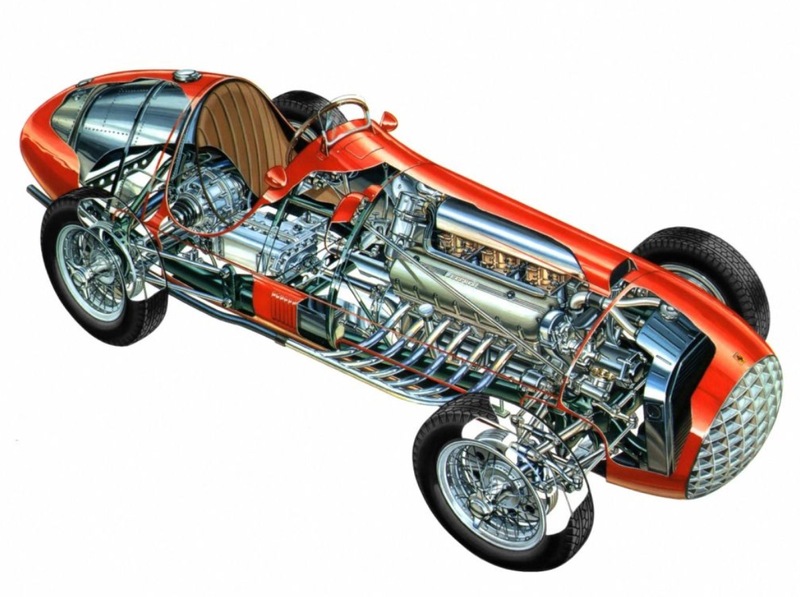 By 1951 the supercharged Alfa’s, designated ‘159’ developed around 410bhp from their supercharged 1.5-litre engines, while Ferrari had been working on a twin-plug version of the 4.5-litre V12. It wasn’t as powerful as the Alfa but it was more efficient, less fuel meant less pit stops. Alfa ignored most of the early season non-championship races. 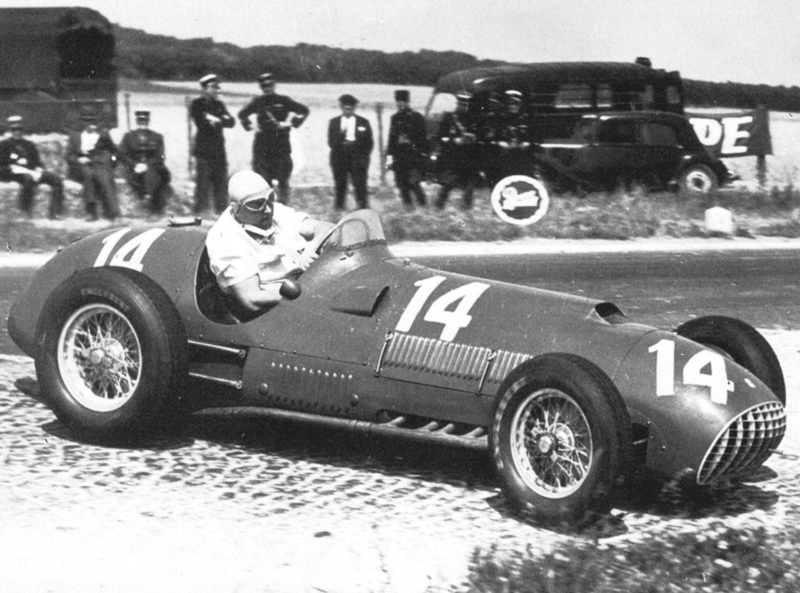 In their absence Ferrari 375’s won at Siracuse and Pau on 11 and 26 March, Gigi Villoresi the winning driver on both occasions. Ascari won the San Remo GP on 22 April. The Alfa’s finally appeared for the ‘BRDC International Trophy’ race at Silverstone on May 5, but the works Ferari 375’s did not. 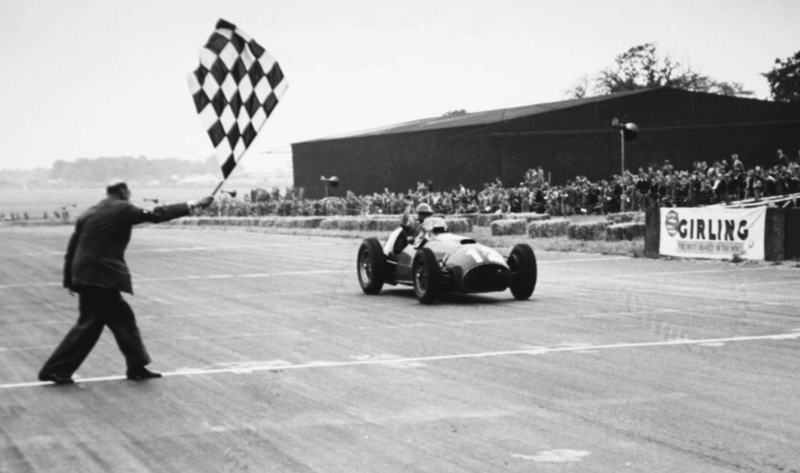 Fangio and Farina each won a heat for Alfa with the final held in torrential rain led by Reg Parnell’s Ferrari 125/375 when the race was ended after 16 minutes on lap 6. The first 1951 Championship GP was at Berne for the Swiss Grand Prix. Ascari was suffering from a burn to the arm received during a Formula 2 race at Genoa the weekend before and Villoresi slid off the road in wet conditions. 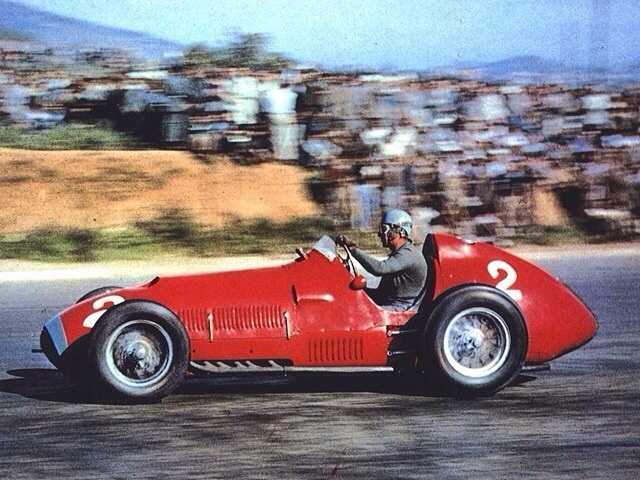 Progress was indicative of Taruffi’s Ferrari second place splitting the Alfas of Fangio and Farina, first and third. 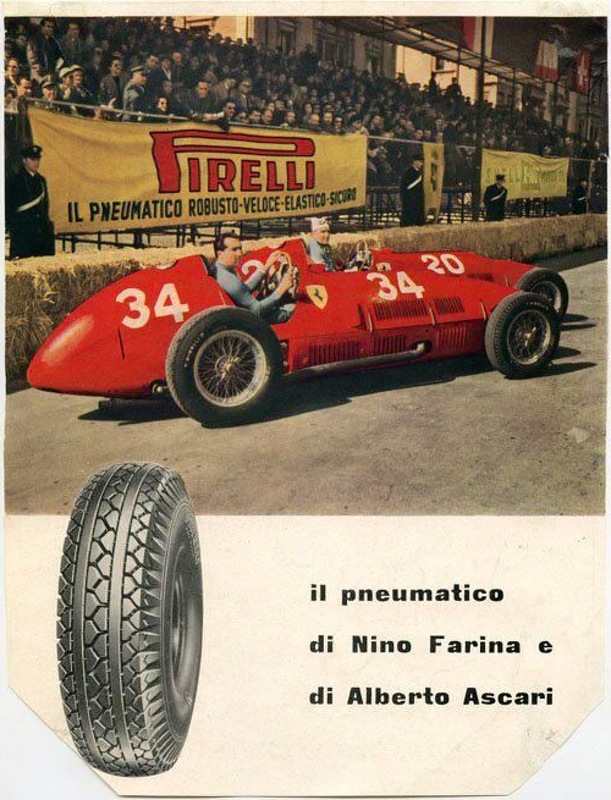 At Spa, a jammed wheel at a pit stop cost Fangio his second successive win, Farina took Belgian GP win for Alfa Romeo from Ascari and Villoresi in Ferrari 375’s. The French Grand Prix was a furious battle between Ascari and Fangio, both of whom changed cars with Fangio taking the win for Alfa. Ascari’s 375 had gearbox failure and Froilan Gonzalez, who had led the race briefly and pitted to refuel, was asked to hand his car over. 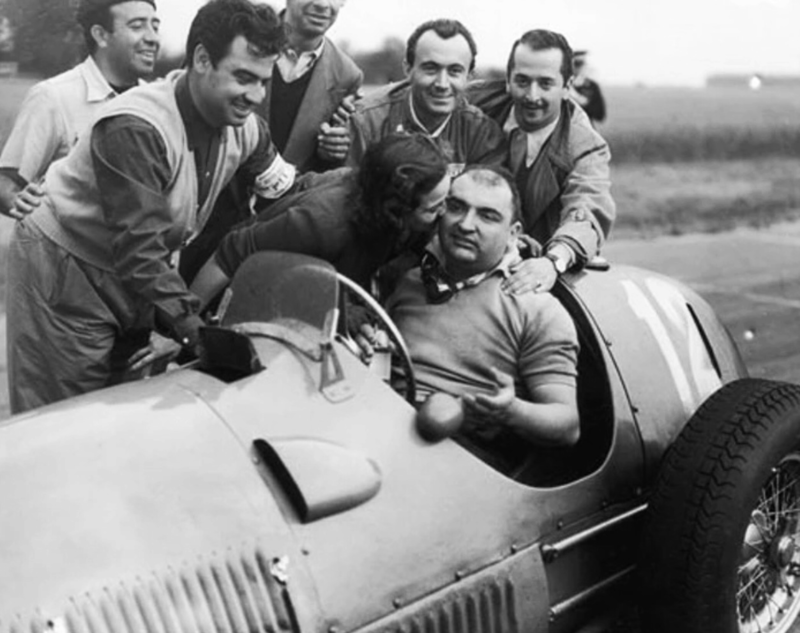 Fangio took over Luigi Fagioli’s Alfa, JM’s car failed on the first lap of the race. This was Gonzalez’ first race for Ferrari. 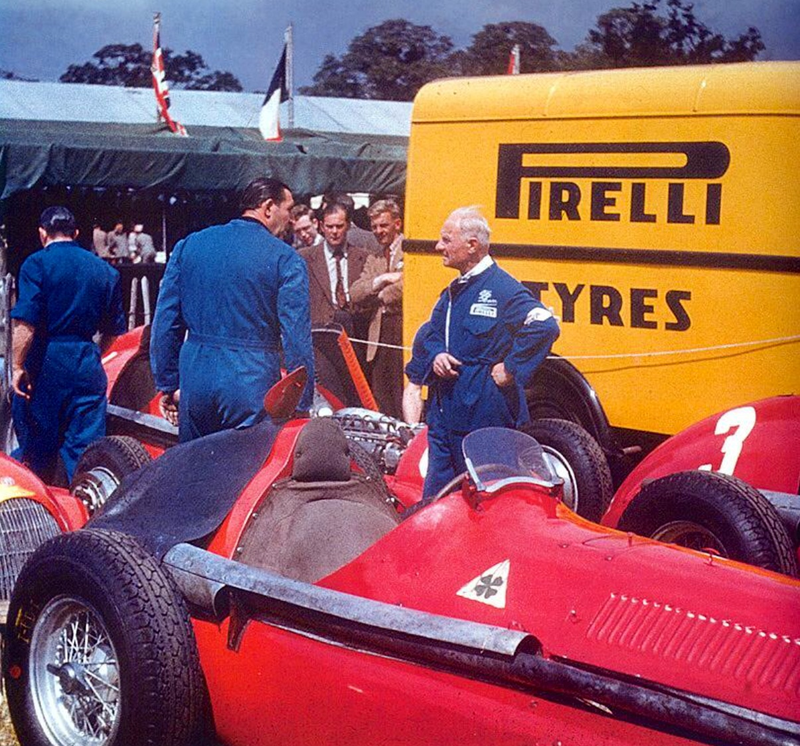 Just before the French Grand Prix, Enzo Ferrari had approached him to replace the unwell Piero Taruffi. 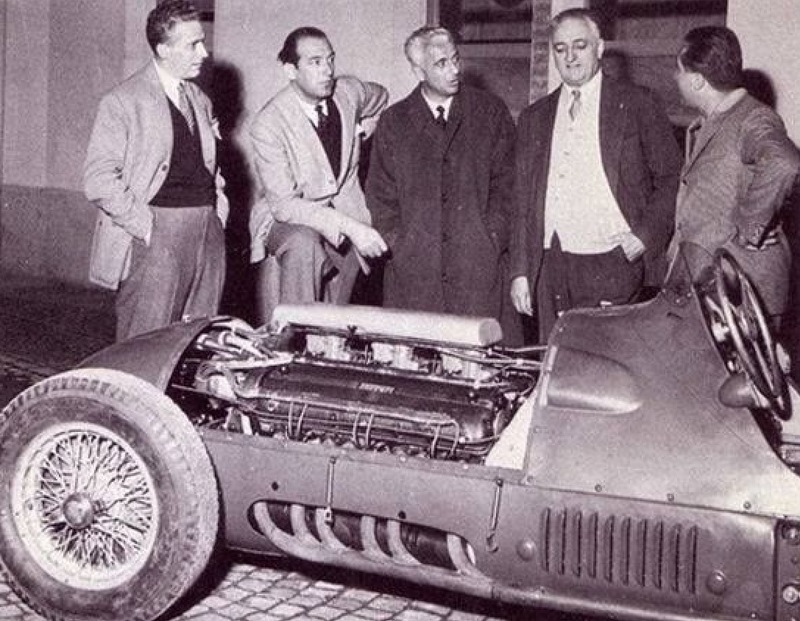 The Fagioli/Fangio car won the race from the 375 of Gonzalez/Ascari. Froilan recalled the French GP in Gonzalez ‘The Pampas Bull’; ‘The dream was to be very brief. I was utterly determined to make my mark at Reims in the Grand Prix de France and after a tough battle I managed to lead the race. 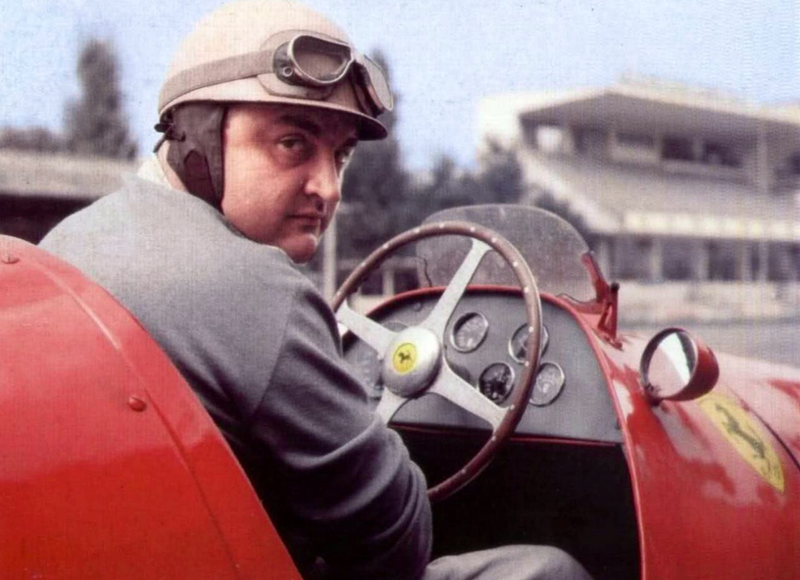 But when I stopped at the pits to refuel (Ferrari Team Manager) Ugolini told me to hand over my jewel to Alberto Ascari who had walked back to the Ferrari pits after his own car had broken down’. ‘Recalling it now I suppose it was understandable. Ascari was more experienced in the Grand Prix arena than I, and since he was now available, it was obviously more sensible to let him take over. But at the time I was mystified and wounded. I assumed I had in some way failed one of Ferrari’s mysterious tests. Yet nobody would tell me where I had failed’. Talbot returned with three T26C 4.5-litre, straight-6 cylinder cars. Maserati relied on ageing 4CLTs for David Murray and John James, while Philip Fotheringham-Parker raced an older 4CL. ERA had Bob Gerard and Brian Shawe-Taylor and Joe Kelly was in his Alta. BRM turned up on the morning of the race having missed practice. Reg Parnell and Peter Walker started from the rear of the grid as a consequence. ‘The interesting thing is that he brakes later than anybody else, actually enters the corner faster, and gets through in an immensely long drift. He has none of the ease in the cockpit that Farina exhibits, and certainly does not follow the same path every time. Unlike all the other drivers, he changes down without gunning his motor, and yet there is no clash of gears and the box stands up to the treatment. John Wyer and I listened to this for lap after lap at Woodcote, and were fair amazed. A phenomenon, this Froilan!’ Bolster observed. 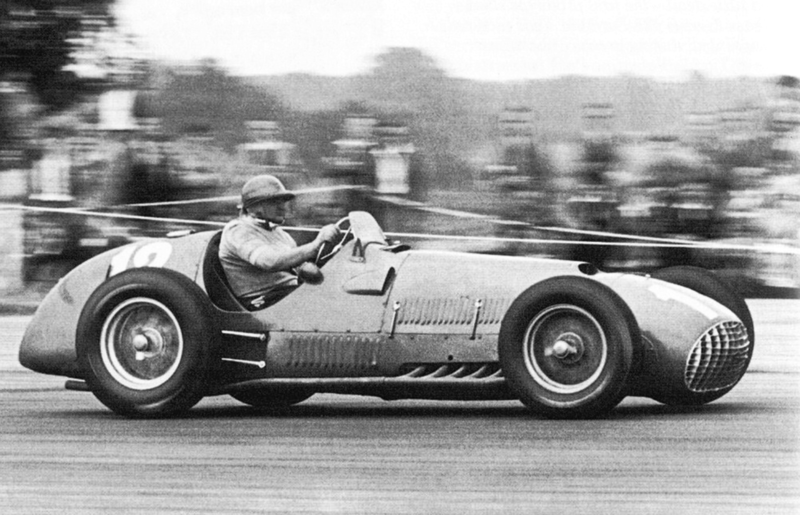 Gonzalez lapped Silverstone in 1 minute 43.4 seconds and was on pole, a second quicker than Fangio’s Alfa. On Friday the track was damp and those times prevailed. Froilan’s time was set without the latest the latest twin-plug V12 fitted to Ascari’s car. Gonzalez; ‘Ferrari had the gift of instilling confidence in its drivers. 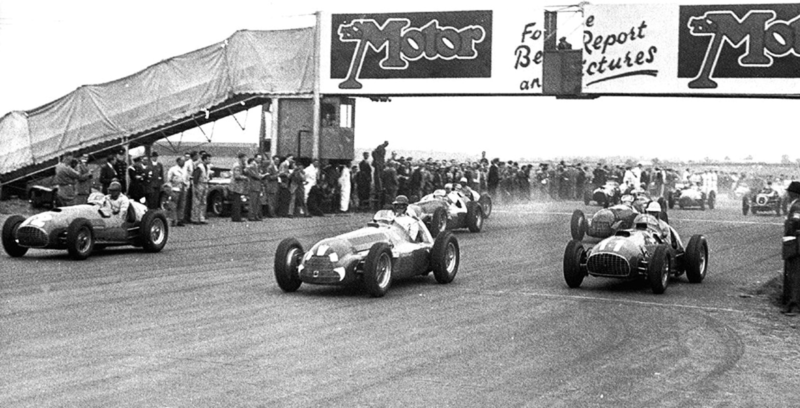 Although I was still very inexperienced I arrived at Silverstone for the 1951 British Grand Prix feeling that I really belonged in the Scuderia Ferrari, feeling eager also to pit my car’s power against the almost unbeatable Alfa Romeos – and my own skill against the world’s greatest racing drivers. Silverstone was the meeting place for international statesmen, industrialists, and millionaires, all looking for excitement’. 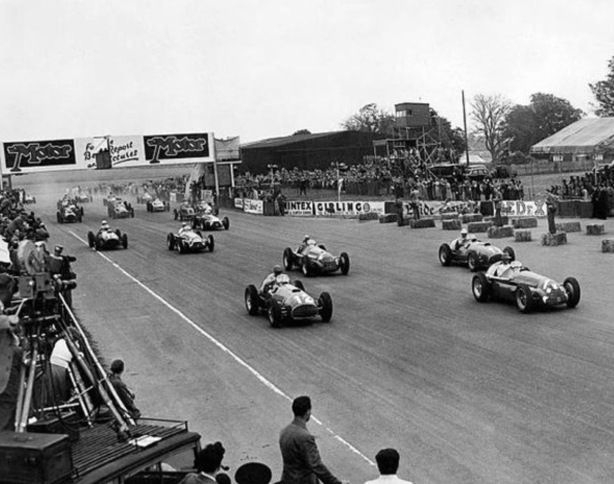 Around 50,000 spectators arrived at the Northhamptonshire circuit on the Saturday, eager to see a great contest between Alfa, Ferrari and BRM. 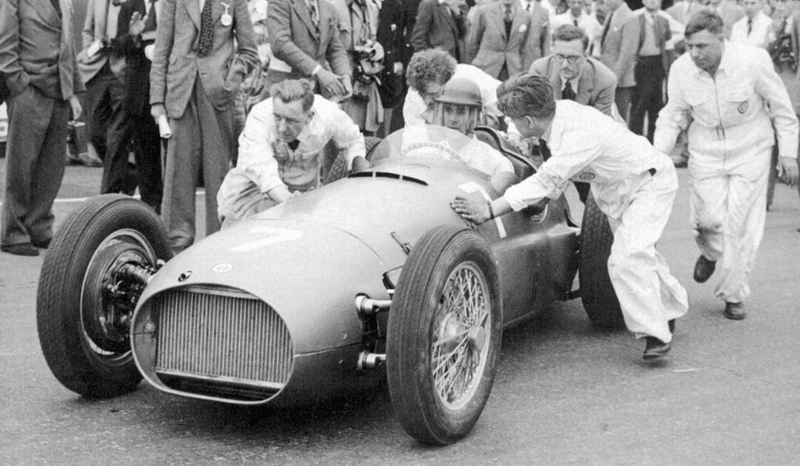 Felice Bonetto made the best start from seventh, the front row delayed with excessive wheelspin, and lead at the end of lap 1 but Gonzalez took over with Fangio chasing. Gonzalez; ‘As we passed the pits for the first time I noticed that both the Alfa and Ferrari team managers were signaling the same instructions, which were in effect that we should drive our own race. The alarming start meant that team tactics must be abandoned. ‘Go for the lead’ came the urgent message and soon as I saw that I went flat-out. By the next lap I was leading’. 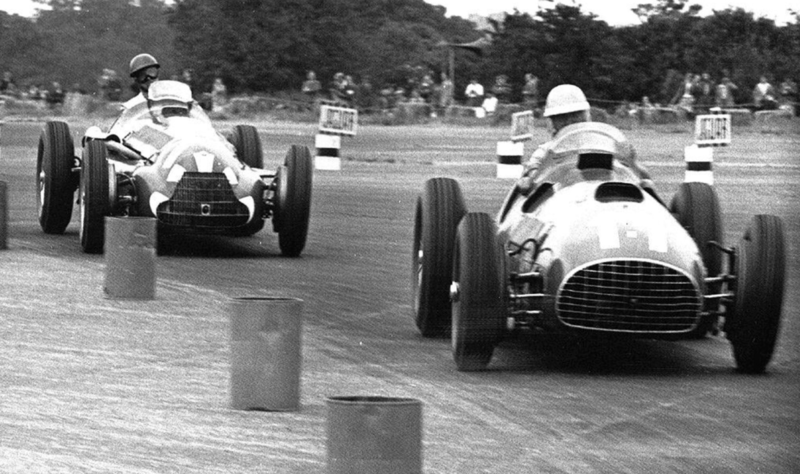 Within 15 laps, Fangio was five seconds ahead of Gonzalez. the duo were 44 seconds ahead of third-Farina who was scrapping with Ascari from Bonetto and Villoresi. It was Alfa Romeo, Ferrari, Alfa Romeo, Ferrari, Alfa Romeo, Ferrari. The fuel stops would settle the issue. 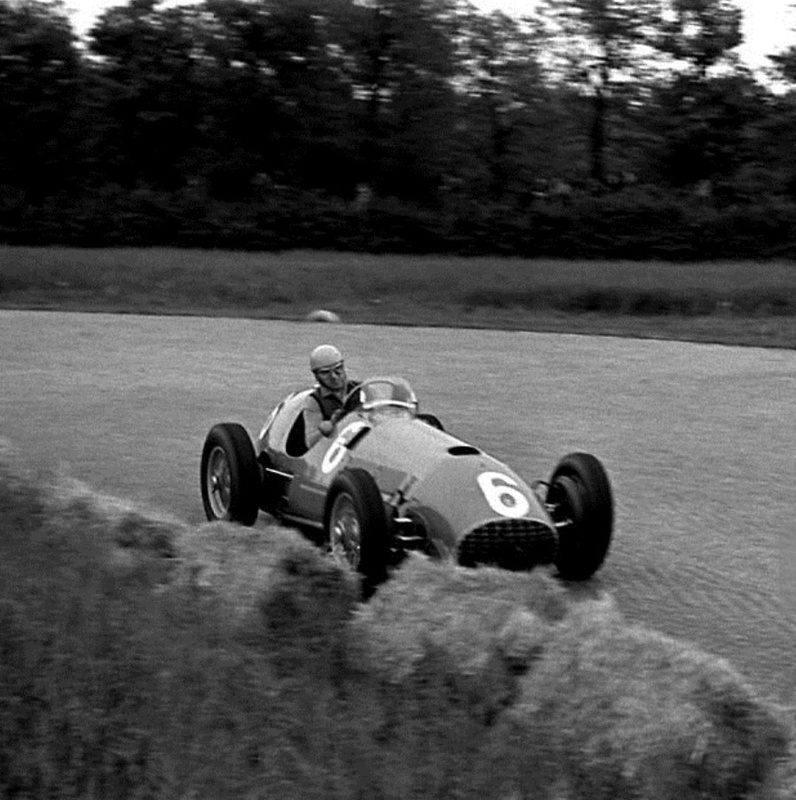 Gonzalez hit the straw-bales at Becketts but gradually closed on Fangio to retake the lead on lap 39. 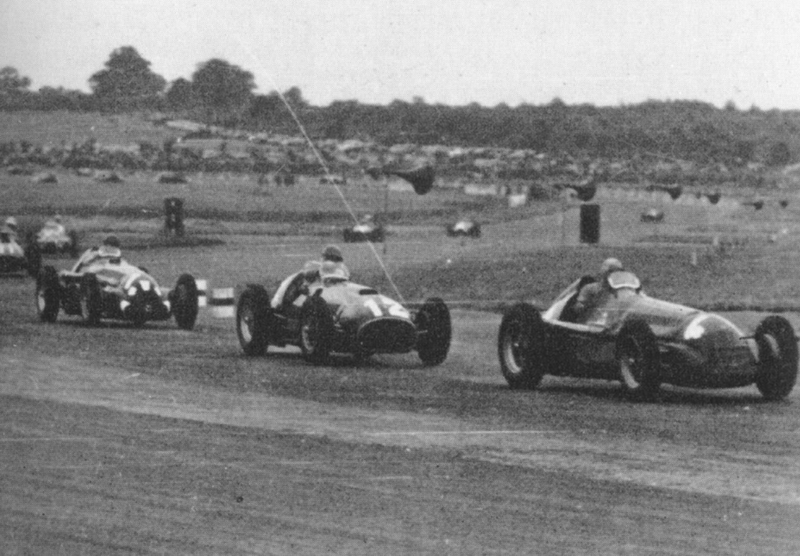 At the end of lap 48, Fangio pitted and Gonzalez came in 13 laps later. Ascari had retired with gearbox trouble and Gonzalez climbed from his car and offered it to his team-mate. Ascari refused and urged Gonzalez to continue. 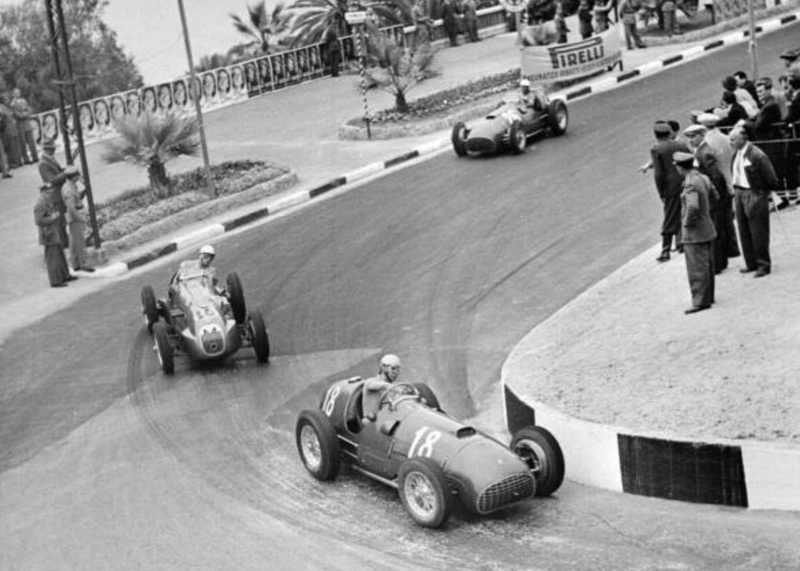 The stop took 23 seconds, Fangio’s 49 seconds, JM had his rear wheels changed and his fuel tank filled. The gap between the leaders was then 1 minute 19.2 seconds. 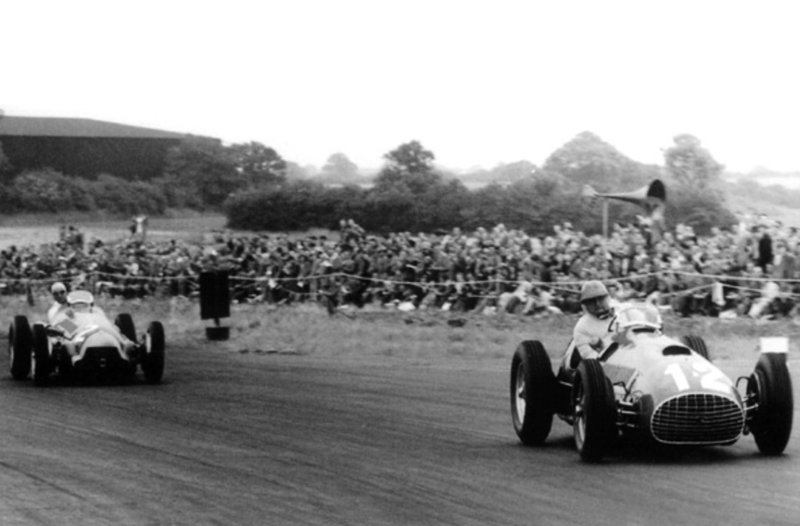 ‘When Fangio caught me in the 10th lap I let him overtake, placing myself directly on his tail. We traveled in tandem, our two cars seeming to be roped together. Even when he increased speed we remained like this, driving like men pursued by the Devil himself. There was a moment of danger around the 25th lap when I took Becketts Corner too fast and hit the straw bales. But this made me keener than ever and I set off again after Fangio. I began to close on him, having been perhaps 5 or 6 seconds behind him with both of us averaging about 97 mph until, on the 39th lap, I eventually took him. Towards the end of the race I was more than a minute ahead of him’. 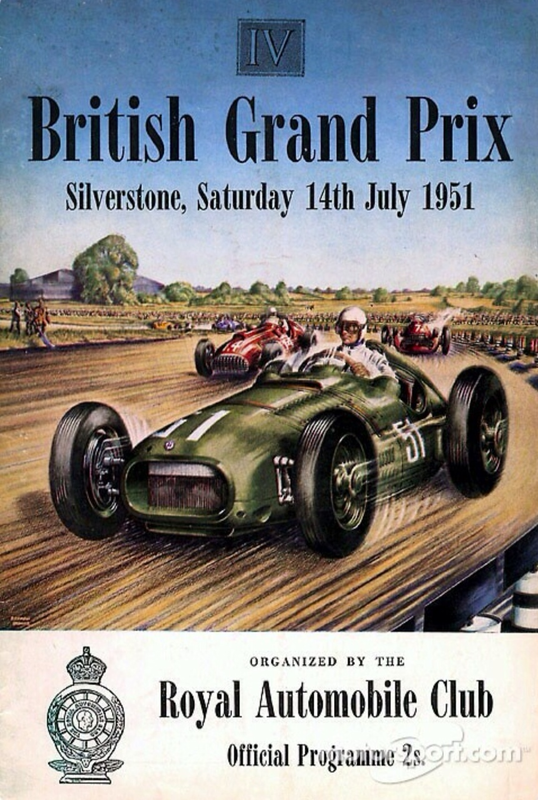 ‘Motorsports’ August 1951 issue described the events as follows: ‘Try as Fangio could and did, it was over. Gonzalez came round, crash hat and visor in his left hand, waving them to the crowd. ‘Ferrari with the unblown 4.5-litre had at last broken the might of the two-stage supercharged 159 Alfa Romeo, as they have been threatening to do since Monza last year. Froilan Gonzalez had driven impeccably and is now in the front rank. 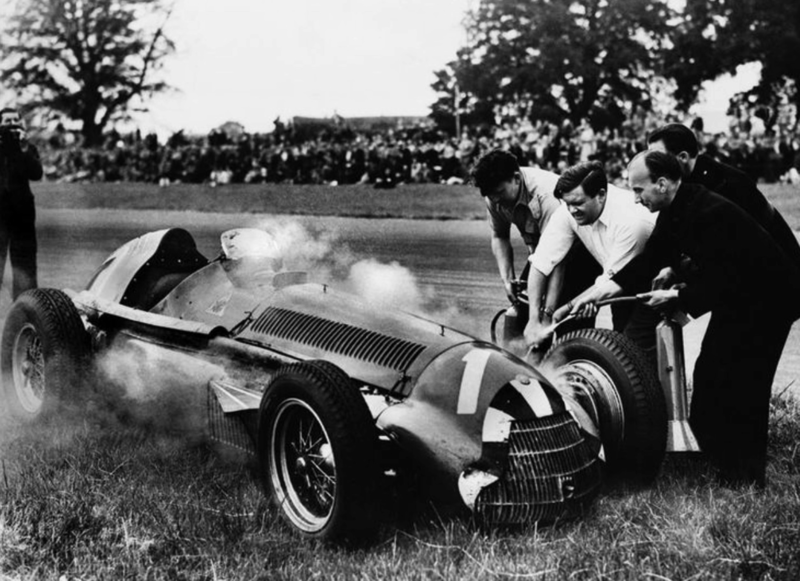 Villoresi was third after Farina retired at Abbey Curve, with smoke billowing from the engine compartment but the failure reported as ‘clutch’. Bonetto was a further lap behind the Ferrari in fourth. Reg Parnell was 5th in the BRM with Walker 7th. The BRM drivers completed the race burned by their exhausts and dazed by fuel vapours. In the hurry to complete the cars for the race, the exhausts hadn’t been properly insulated and the drivers were ‘cooked’. ‘It was very confusing’ said Gonzalez aftewards, ‘But very exciting. 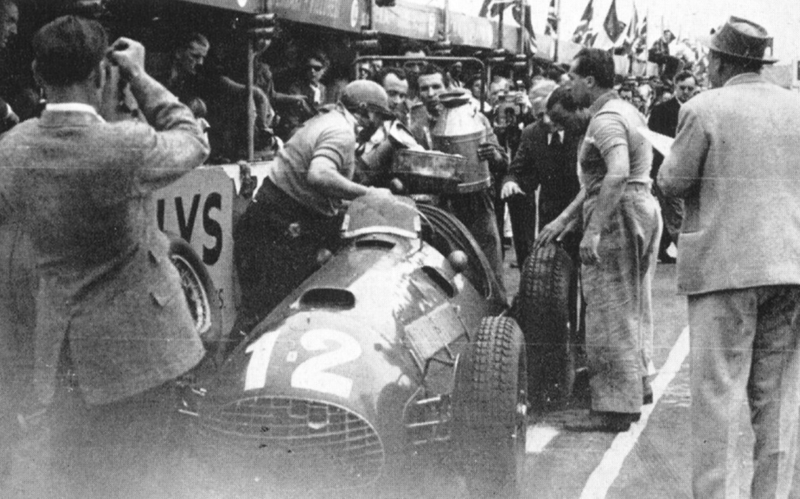 Everyone was shouting and talking; the mechanics saying over and over again that the Alfa Romeos had been beaten. Then I was taken to meet the Queen and given a laurel wreath. Of course, I understood little of what was said but it was a very nice feeling to have all those people congratulating me. Enzo Ferrari’s dogged determination to win Grands Prix with his own cars was achieved against Alfa Romeo, for whom for many years he lead their pre-War racing programs. 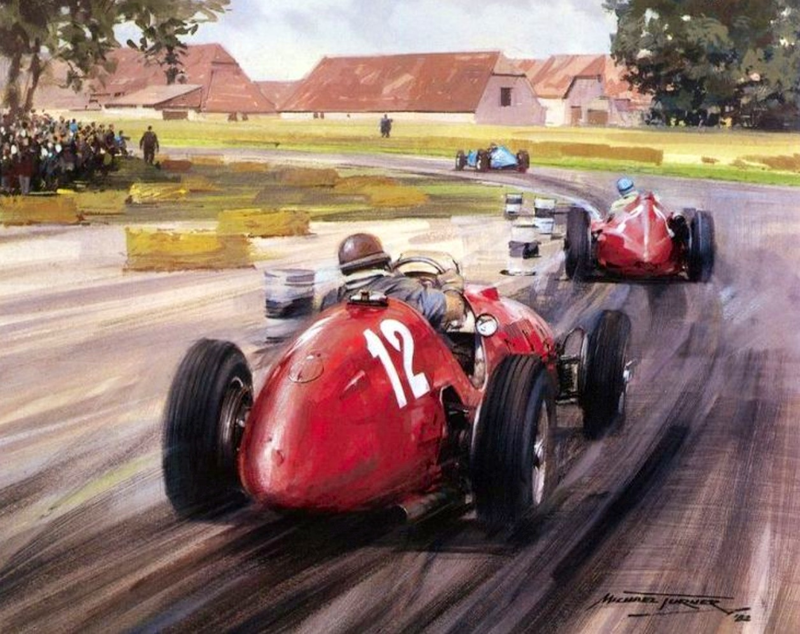 It was the first time the Alfas had been beaten since the first post-war French Grand Prix in 1946. At the end of the season, Alfa Romeo applied for a significant increase in their government grant, the company still within the control of the agency which took it over after its insolvency pre-war. It was refused and the team withdrew from Grand Prix racing, a return finally made with the provision of engines in 1970 and more wholistically as a team in 1979. 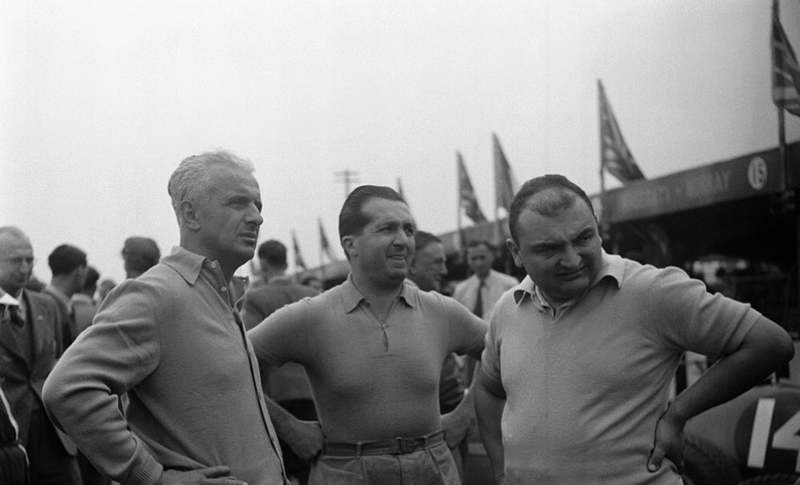 Luigi Villoresi won the race in another 375 from Piero Taruffi and Rudolf Fischer both in Ferrari 500’s. Ascari #34 was fifth having lead strongly but running short of fuel with a leak, and Farina #20 crashed on lap 31 having pushed too hard keeping up with Ascari. Ascari and Farina were in the latest long wheelbase ‘Indianapolis’ Models bound for Indy that May, whilst the winning car was a normal SWB 375. 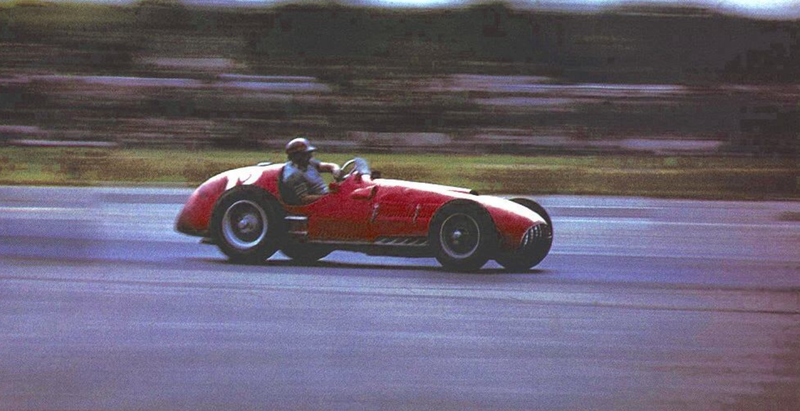 In those far-off days there were many non-championship F1 races, 1952 was a strange year as Formula 2, for 2 litre cars counted for the World Championship, and Formula 1 races were run but were non championship events…Alfa Romeo withdrew from Grand Prix racing at the end of 1951, BRM were still struggling with their V16, the FIA believed only having Ferrari as a title contender was contrary to the interests of the sport, so F2 became F1 if you will, where fields were of greater depth! Mind you, Ferrari had the game covered, the Ferrari 500, Lampredi designed 4 cylinder DOHC cars absolutely dominant in 1952 and 1953. 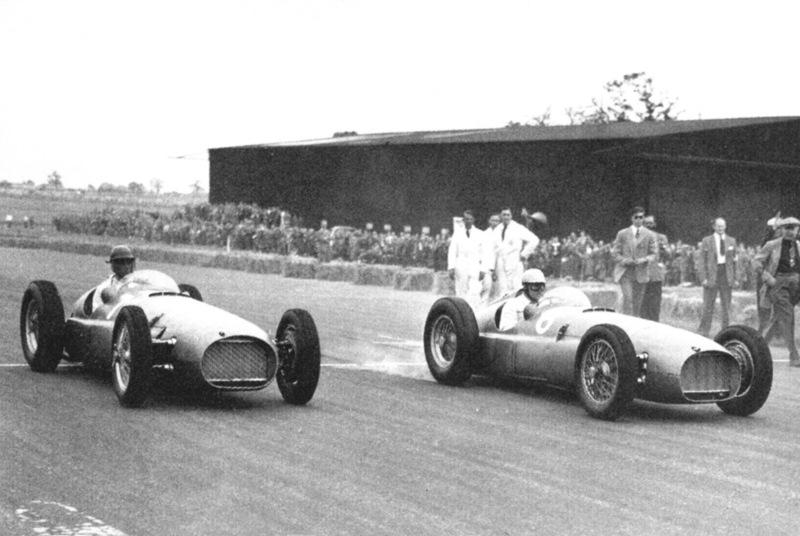 This non-championship race in Italy was well supported with entries from Maserati, Talbot-Lago, Osca and of course Ferrari who entered their 1950/51 F1 375 V12 engined cars, as well as their Ferrari 500 F2, but for 1952/3 cars contesting the world championship. Moss, Fangio, and Ken Wharton were entered in their BRM V16’s but the cars failed to appear, still not being race ready. 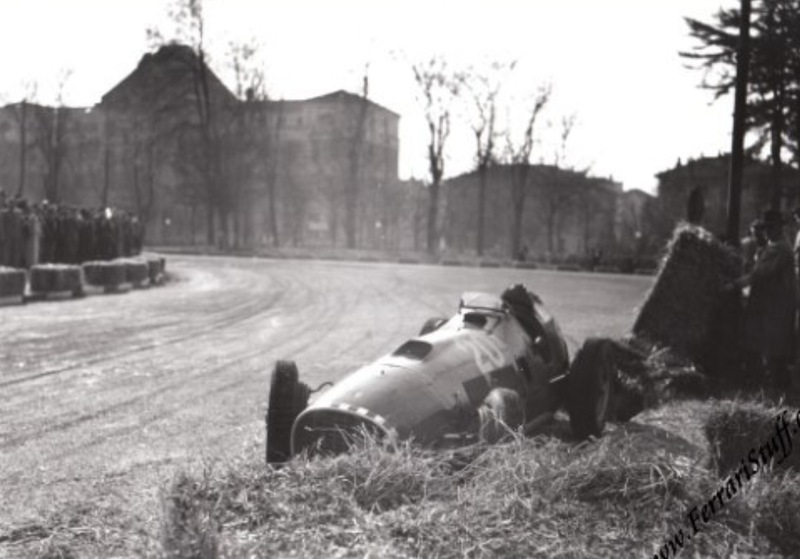 Valentino Park, located in Turin on the west bank of the Po River was used for motor racing from 1935 to 1954, different layouts were used varying in length from 2.92 to 4.8 kilometres. The 4.5 litre, normally aspirated, Aurelio Lampredi designed V12 finally broke the dominance of the Alfa Romeo 159, supercharged, straight-8, 1.5 litre ‘Alfettas’. 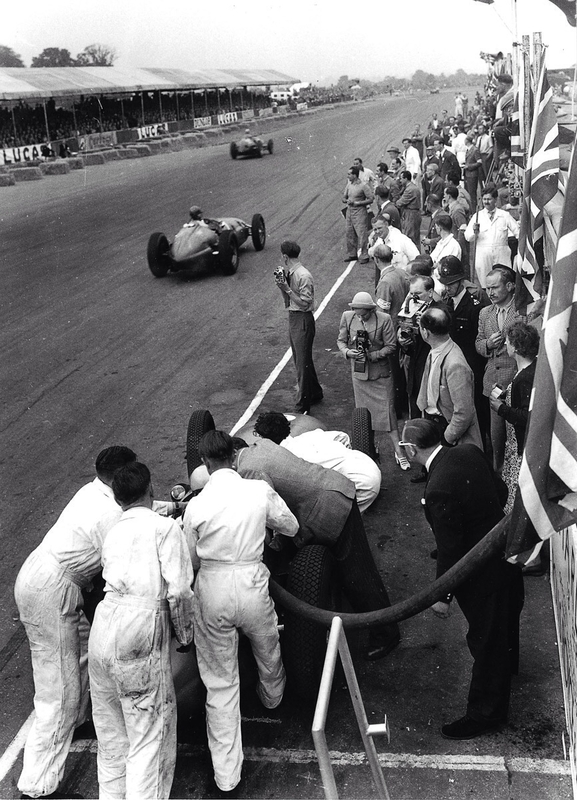 Froilan Gonzalez famously winning the 1951 British Grand Prix at Silverstone. The chassis of the car was a conventional tubular steel frame fitted with drum brakes and a four speed ‘box. Suspension was independent at the front by upper and lower unequal length wishbones, a de Dion rear axle located by radius rods and using transverse leaf springs front and rear. Shocks were Houdaille hydraulic. 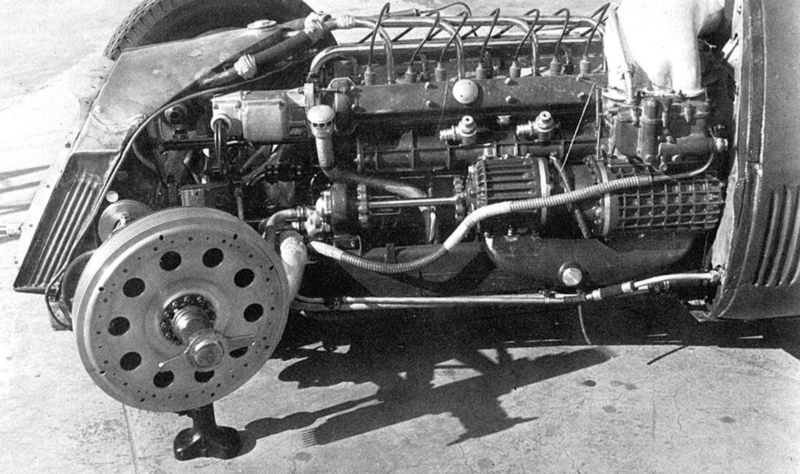 The engine was a 4493cc 60 degree V12 with SOHC per bank of cylinders, two valves per cylinder and was fed by three Weber 42DCF carburettors. It developed circa 350bhp @ 7000rpm.